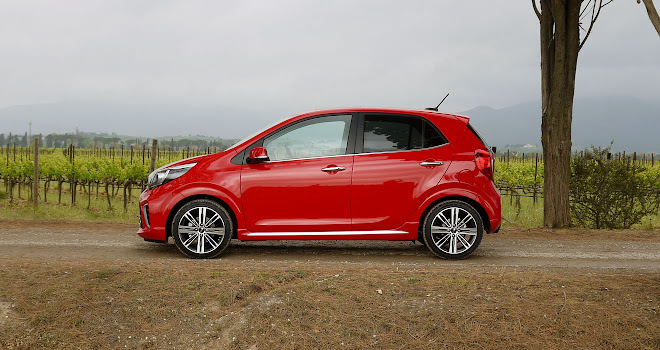 According to Gregory Guillaume, chief designer at Kia Motors Europe, small cars are a serious business. “We didn’t want to do something toy-like or playful,” he says of the new Kia Picanto, the shortest car in the Korean company’s range. You can see what he’s getting at: despite a button-nosed bonnet, the new Picanto doesn’t look remotely cute. 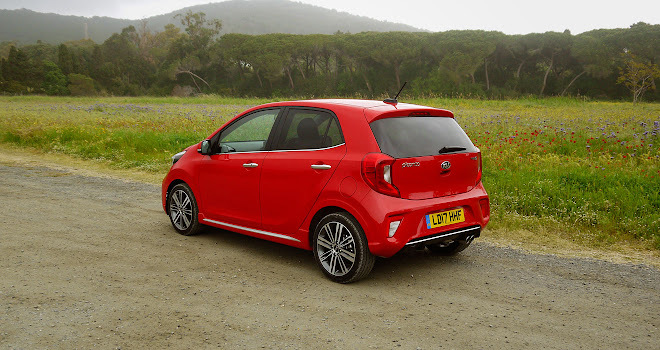 Despite consistent measurements we’re not looking at a restyled, rehashed version of the old Picanto, however. The bodywork is all new and the proportions have subtly changed. It’s a tiny bit taller, with a shorter front overhang and a longer wheelbase. The boot is surprisingly large at 255 litres (55 litres bigger than before and now fractionally up on a VW Up). The wheels have grown too, between 14 and 16 inches in diameter depending on trim level, compared to 13 or 14 for the old Picanto. 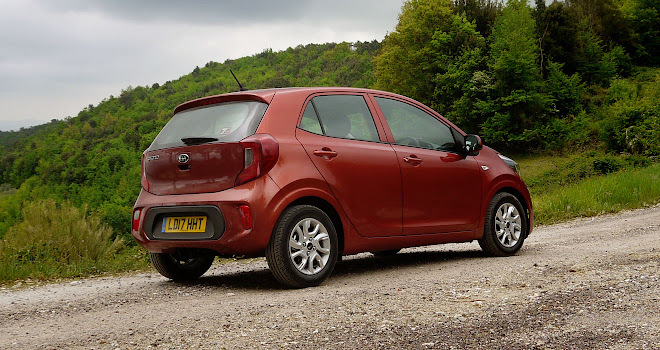 The car’s lines have become much more horizontal, with less wedge allowing deeper rear windows compared to the outgoing Picanto, for an airier cabin that feels less confined in the back. The sheet metal surfaces have also been redesigned to give “a more solid, stable look”, says Guillaume. The little car has, arguably, lost a little personality in the transition, however. Prices have gone up, naturally, with a Picanto in modest “2” trim and the entry level engine rising by 4.5% from £10,285 to £10,750. Other trim levels see similar percentage increases. 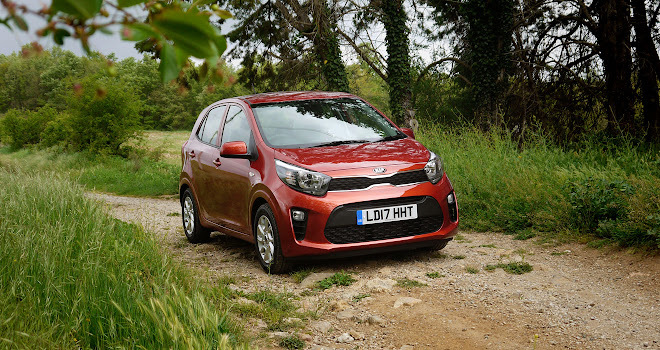 Prices throughout the range land in the same ballpark as other small cars like the VW Up or Renault Twingo – Kia is no longer a budget brand. 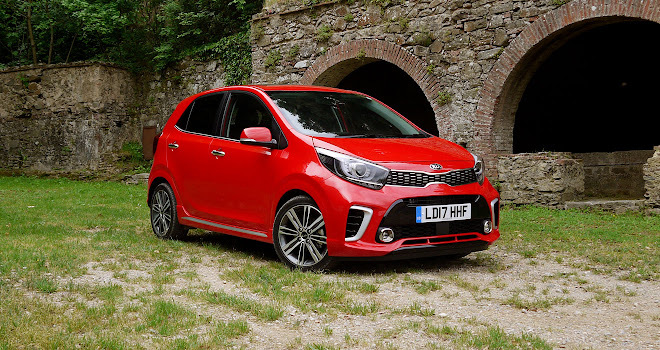 While 80% of sales are likely to be outright, costs for a Kia Picanto lease ought to be reasonable at about £140 per month for a mid-range version, after a £1,500 deposit. 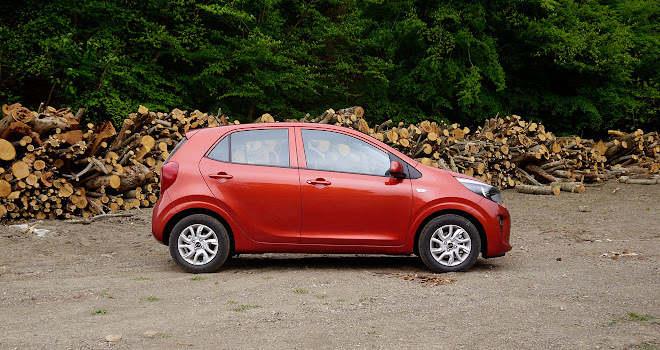 One big caveat is that customers can no longer opt for a cheaper three-door Picanto. The new car is available only as a five-door, because falling sales of three-door models no longer justify the extra costs of creating two different body styles. Kia adds that it has used a greater proportion of high-strength steel in the new body too – up from 22% to 44% of the structure – to create a stiffer shell that’s 23kg lighter than before. The overall weight of the car has, however, increased by about 12kg due to additional kit and insulation. The new cabin was designed in Frankfurt and has managed to liberate a little more room, with seats set lower than before, though there’s no escaping that this is a short, narrow car. 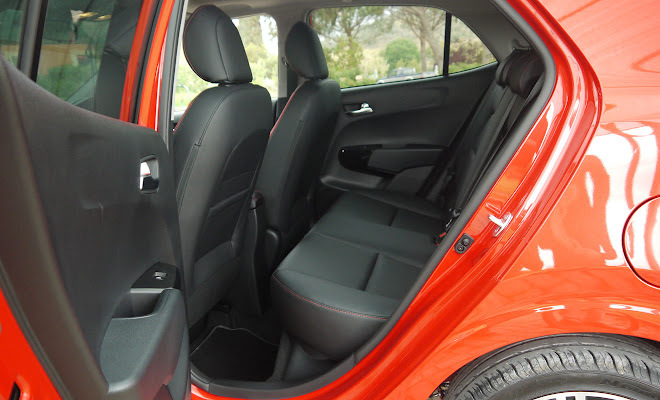 Pushing the seat back for taller drivers will leave little room for legs in the rear, while getting comfy may be hampered by a wheel that adjusts up and down but not in or out. Happily the seats are very supportive, in the front of the cabin at least. You can spend all day in the car and emerge without cramps or cricks. 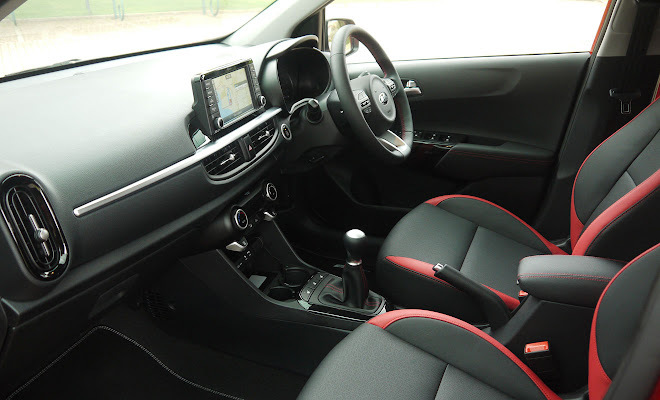 The Picanto is also exceptionally quiet for a small car where, by definition, you sit close to the engine. My test drives were carried out in UK cars but on Italian roads. Winding routes through the Tuscan hills provided a stern test for the entry level 998cc three-cylinder petrol engine. With no turbo it has only 66bhp to call upon and a fairly weedy 96Nm of torque. It struggled up some of the steeper slopes with two adults aboard, hampered by a gearbox set up for economy rather than agility. The more expensive 1.25-litre petrol has an extra cylinder, producing 83bhp and 122Nm, and the relatively modest extra muscle translates to a very noticeable increase in capability. It also vibrates less than the three-cylinder engine at motorway speeds. A third engine option will arrive late in 2017. With a turbo and direct petrol injection, the 998cc T-GDi will produce 99bhp and 172Nm of torque, yielding a sub-10-second sprint to 62mph as well as frugal consumption. It should be the pick of the range, though that verdict will depend on price of course. CO2 figures start at 101g/km for the base engine, 106g/km for the 1.25, and 124g/km for the 1.25 with a four-speed automatic transmission. These are equivalent or slightly better than the old Picanto, testament to the tweaks that Kia has carried out for the new generation. The 1.25-litre engine matches its former CO2 rating despite losing the stop-start capability that featured in the previous Picanto. 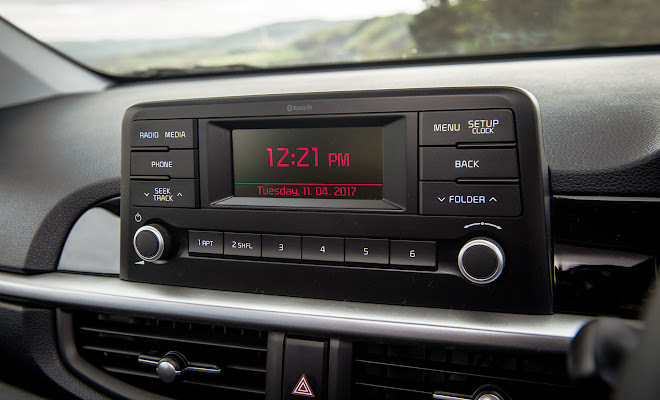 Kia says this change cuts both cash and complexity, though it seems like a backward step to lose the ability to switch off when idle. My tests over fairly arduous terrain suggest economy better than 55mpg ought to be easily achievable with the 1.25 engine. Manual gearboxes have only five gears, though you won’t miss the presence of sixth – instead you’ll wonder where one of the middle gears went. The gap between third and fourth feels unnaturally large and on some inclines it can seem that neither gear is quite right. An electronic stability system is fitted to every model, including differential braking at the rear axle to rein in oversteer or understeer during over-optimistic cornering. I’m pretty sure this kicked in to spare my blushes through an unexpectedly sharp Tuscan hairpin. Autonomous emergency braking is another welcome addition, fitted to GT-Line, GT-Line S and 3 trim levels, and optional for the lower 1 and 2 grades. It’s designed to avoid front-end impacts between 5mph and 50mph, and keeps working to try to mitigate impending collisions at up to 112mph. Kia says it will detect pedestrians as well as solid objects and other vehicles. Handling is roughly as you’d expect for a small hatchback optimised for trundling around towns, with even the GT-Line S model feeling soft and vague when pressed. Steering is light and lifeless, while the suspension is biased towards comfort rather than cornering. Equipment levels are reasonably generous, though only the top 3 and GT-Line S models get a 7-inch central display with navigation. 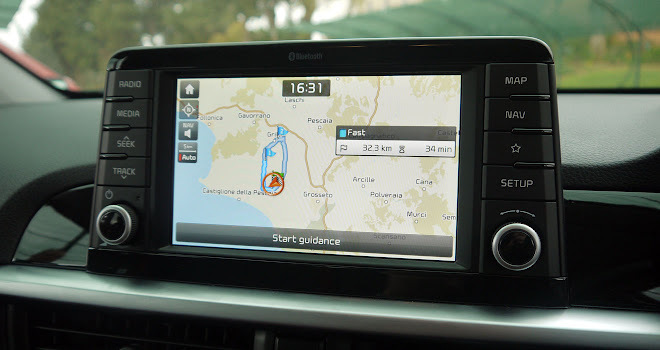 The 1, 2 and GT-Line models provide a small LED panel in the centre of the dash, but happily Bluetooth phone connections come as standard and can be controlled through buttons on the lower-grade console. GT-Line and GT-Line S cars come with styling tweaks that I’d argue sit a little awkwardly with the car’s upright demeanour. They also feature unconvincing faux-leather upholstery that can get a little sweaty. For my money, I’d plump for the 3 spec, or a 2-level car with optional safety pack, and the bigger of the two engines. 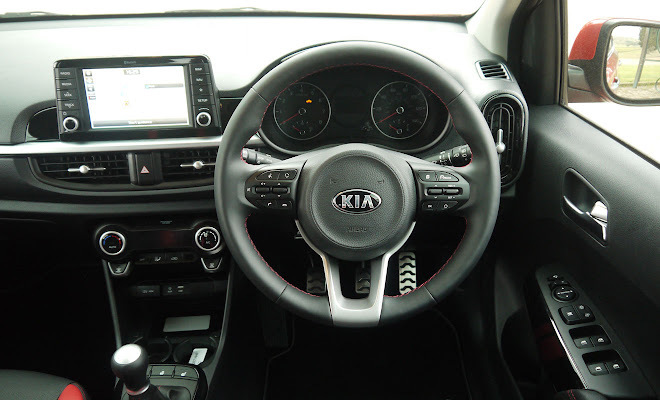 Fixed price servicing is also available, and Kia’s long seven-year warranty is always welcome. 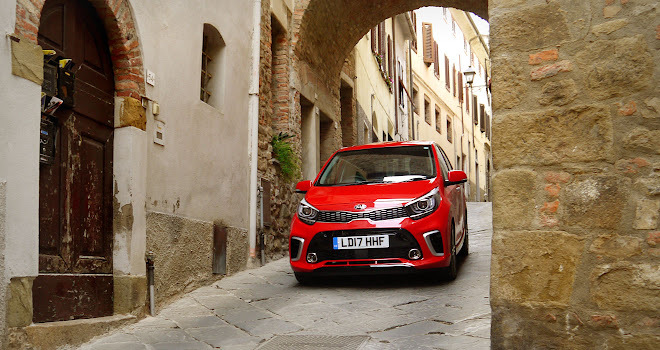 Kia’s updates to the Picanto move it up to the top of the city car class. While not as much fun to drive as a Twingo, the new small car is a solid, well-equipped and comfortable little runabout.